Let's talk about it. I think it's time. A person who only occasionally wanders through here (and then probably spends the rest of the day confused) might feel that my discussion of the subject is a bit schizophrenic. And the question everyone would like to know the answer to, how many cats does Eli have, is one that perhaps not even I can answer. I mean, if I had to give a ballpark estimate, I would probably say . . . um . . . (tapping a pencil to my lip while making a thinking face) . . . carry the one . . . (writing some figures on a piece of paper) . . . zero. I would probably guess that I have zero cats and would never ever ever have one in a million years even if I had some degenerative disease in which cat play therapy is the one and only proven treatment. Even then, I would, at most, have a person dress up like a cat and act like one. But I would have to take something really strong first. And I would give a session a try just one time and if it was too much for me to bear, I would just start wrapping up my affairs. 1. Did you promote Glee in any way, shape, or form? 2. Are you transporting with you any fruits or vegetables? 3. Have you recently been in close contact with livestock? 4. What did you do, specifically, to stop the spread of snakes on the Earth? Guys, if I didn't like my religion enough, I would totally start a new church and the entire thing would be about snakes. This is a REAL book. 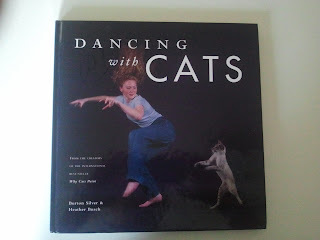 It was sent to me in the mail last week by two readers, Craig and Jen, who thought I might be interested in learning the art of dancing with cats. WITH CATS. DANCING WITH THEM. And all I can think about is how I am one cat away from being these people. Because I like to dance too. Sometimes in my underwear. The only think I'm missing are cats. And I feel like the universe is going in that direction because for reasons that are absolutely not clear to me, cats are drawn to me. Drawn. I have always been told that animals can sense things about people. Why is it that cats can't seem to sense that I hate animals? 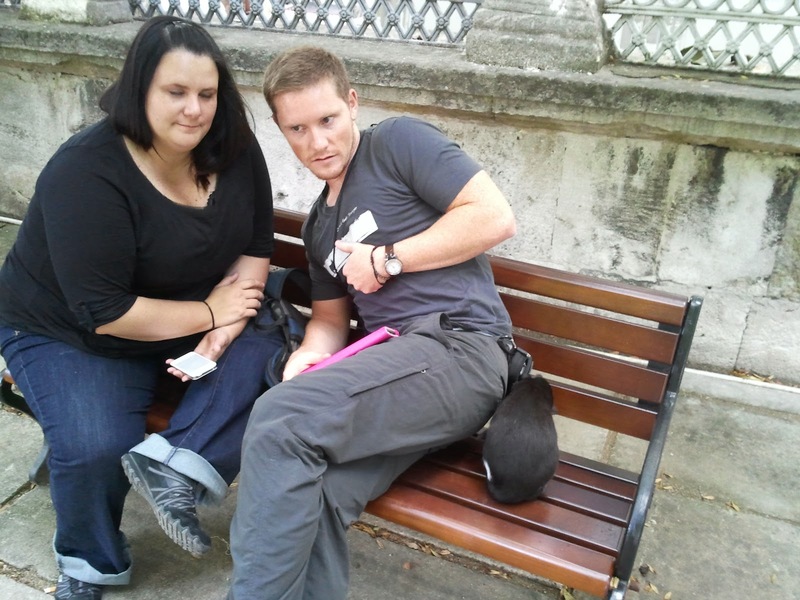 Last week I was sitting on a bench in Istanbul, minding my own business, reading a book, when suddenly a small black cat approached, jumped onto the bench next to me, and then, despite my protests, tried to cuddle with me for the next 25 minutes. Note that in that second picture, I am NOT smiling out of joy. It's distressed laughter. Hysteria. A sign of trauma. Look it up. Cats ALWAYS approach the person least likely to want them to approach. It's the only thing about which cats are consistent. Usually. I think if you were to invite them to dance with you, they may stay away. P.S. : I love that kitty and I wish you would have smuggled it out of Turkey or Constantinople or wherever you were and brought it back for me. Even though you don't know me. Next time this happens, the cat's yours honey! You are silly. Those same authors wrote "Why Cats Paint" and the hilarious follow-up, "Why Paint Cats," both written in convincingly artsy-fartsy style. It's supposed to be ridiculous! Your (righteous and doctrinally correct) views on snakes have guaranteed that no matter what else you do in this life, I will defend your name. Murder a bus full of puppies? I will assure everyone that you had a good reason. Gain 400 lbs so that you can pioneer the sport of sitting on small children? I will help you promote it. Also, if you ever run for political office, no matter the party you are a part of, you have my vote. To sum up, yes, snakes are the worst. And should be annihilated. Swiftly. It will be a new party whose only objective is to get other people to kill snakes (because we won't be close enough to do it ourselves). May I join this party? I whole-heartedly support your aims. Best part about those pictures? You appear to be wearing a shirt promoting your own website. Don't know why I find that amusing, but there you go. Also, they already have 'churches' (and I use this term loosely for these people) centered around snakes. They are in super rural areas of places like Kentucky and are usually a bit more cult-flavored than anything. A couple of blog shirts are all I have that hasn't already been shipped to Palau. My clothes options are few right now. Love your blog. Thanks for the laughs! Pioneer children sang as they killed and killed and killed . . . I looked out the window and what did I see, snakes getting slaughtered in the apricot tree . . .
Oh my gosh... If you create a religion against killing snakes, I would consider joining as well... Snakes are the worst thing on the planet... This may be the cause of a field trip to a snake museum in kindergarten with a glass bridge over snakes, that tried to eat me... Seriously who takes 6 year olds to snake museums!!! Despite no great personal holiness, I have levitated TWICE in my lifetime, and both times were to avoid stepping on a snake. (Virginia is loaded with the awful things.) In fact the second time, I was running, saw in midstride that I was about to place my BARE FOOT on a snake and *in midair*, without touching the ground, pushed off and jumped in the opposite direction, breaking at least three laws of physics and nearly my neck. But I didn't step on the snake! Oh. My. Gosh. Your arms are massive!! Ditto on the snakes too. 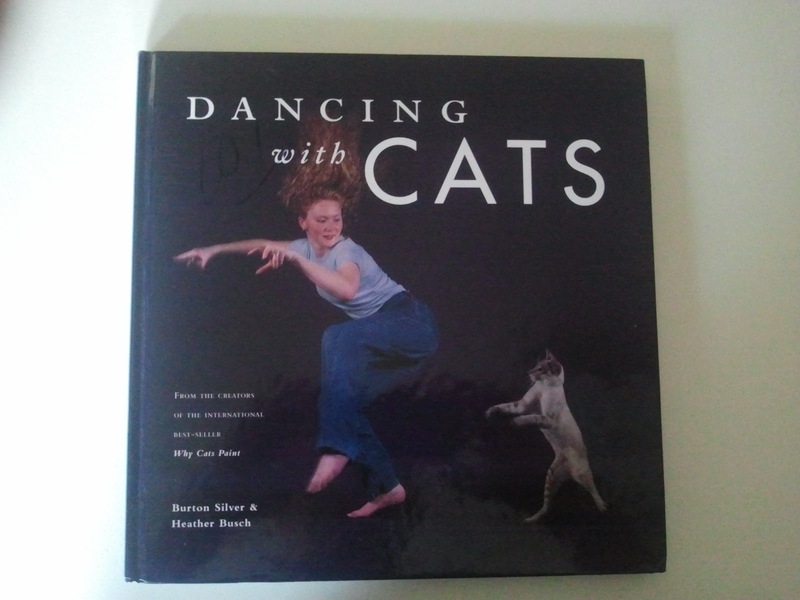 If you're not going to use that Dancing With Cats book to its full potential, please send it my way, my cat and I will put it to use immediately. All I can think is that I totally want that book. Because it is hilarious. And it probably wasn't supposed to be. And I love laughing at things that are funny on accident. I really should not read your blog during staff meeting. My cat, Bugsy, the Insane, firmly believes that Dancing with Cats is step number 4,359 in the massive "Cats Take Over the Universe" movement began in 1919 by the now infamous cat-scramble incident in Queens. Cats abhor direct eye contact. So the best way to ensure a cat comes and sits with you is to NOT look at it. The best way to keep cats away from you is to try to get them to come to you. 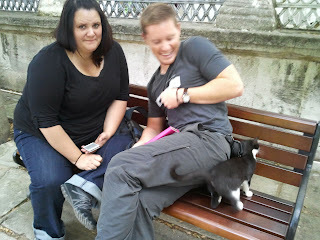 Cats love to snub people...they are snubbers. I found you through the infamous Snuggie post, and have now spent 3 hours reading through your past posts. I almost stepped on a dead snake today and thought "good riddance I'm glad it's dead, but ick". I also sent multiple links to my bestie from here including the Snuggie because we have a random texting with gay Satan story...Pretty much if I weren't happily married I'd offer myself to you, but seeing as how that won't happen, I'll just keep reading your hilarity. Please email me details on that gay Satan story, ASAP. I believe with your hilarious wit and my mad dancing skills, we would make the perfect child. His/Her name would be Snake-Slayer. Or Debbie. My friends call me the crazy cat lady. Although I have (whips out calculator) 0 cats. The call me this because of my grand cat lady plan. Also lets kill the crickets with the snakes. My grandmother was schizophrenic and had an innumerable host of cats. Which has always begged the question, "which came first the schizophrenic or the cats?". It's hilarious because it's true. Right after snakes, of course. So what I'm saying is, maybe cats are tied with snakes as the worst. Because: although I don't wish cats harm or whatever, I'd probably be somewhat delighted if every cat in the world snuffed it. Good riddance, is what! This is probably my favorite of all your posts, by the way. 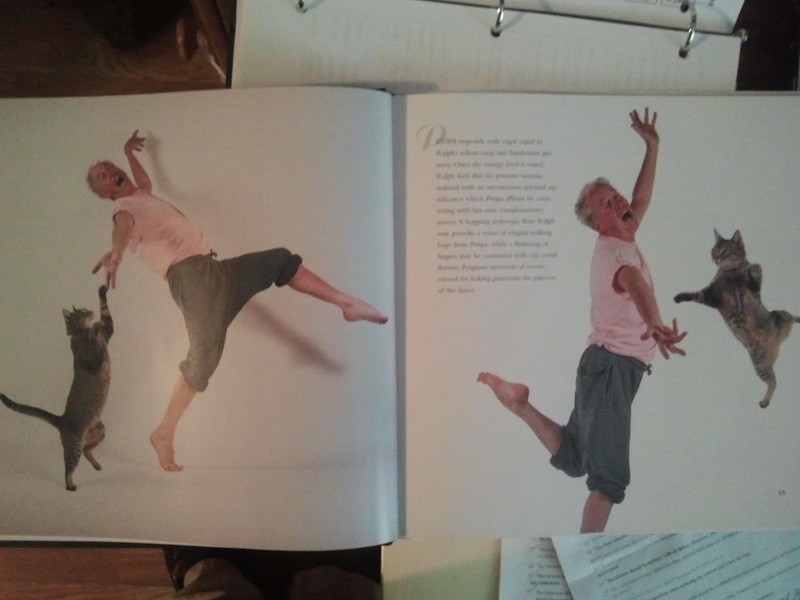 That "Dancing with Cats: book is just too much! Haha! I love cats. I know a lot of people for whatever reason dislike cats, but how can you hate animals altogether? Until I read this post I was starting to think you were the perfect guy! Snuggies didn't make your list. I'm shocked. Horrified. My only guess is that the Queen of Colors sabotaged your list before you posted. Oh my gosh! hahaha... I hope you compensated your sister for using her image. 1. I love Glee (I was the Glee President in HS) but you've had to watch it to know you don't like it. 2. No fruits or veggies right now. 3. I raise chickens, it that livestock? 4. I have helped garden snakes. They wanted me to kill it at work, but I couldn't do it. Instead I used my lunch time to release it. Hope you visit me in hell.